Week 8 saw a lot of disappointing quarterback play, especially in games where the matchup pointed to a big day. But that's fantasy football for you. What that does mean however is that several quarterbacks are in position for a nice bounce back in Week 9. Here are some quarterbacks to look at for Week 9. 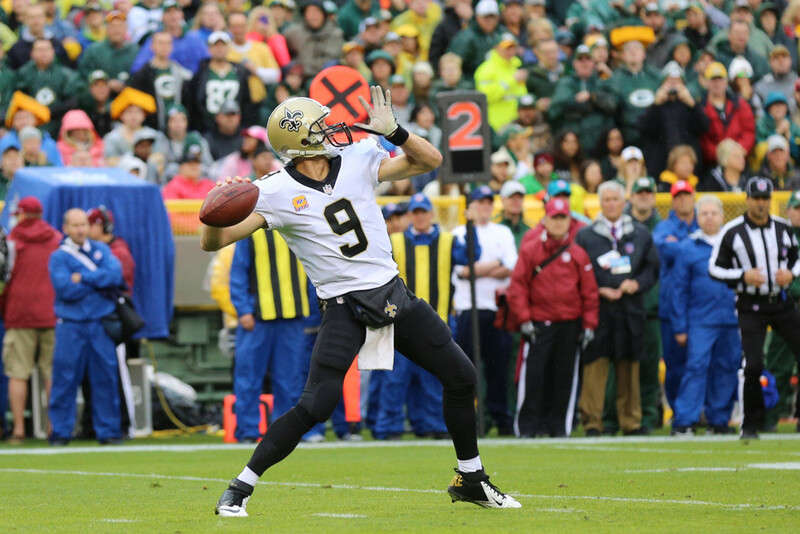 Drew Brees had an efficient, although disappointing day against the Bears in Week 8, completing 23 of 28 attempts (82%) for 299 yards. He did not throw a touchdown, which normally would look very odd with New Orleans playing at home. However credit needs to go to the Bears' defense, which has been very good all season. Brees has another home game against the Buccaneers in Week 9, who currently rank 26th in points allowed to the QB. Injuries have ravaged the Bucs' defense, and with this one being played in the dome, Brees should have a nice bounce back outing. Alex Smith had a rather rough outing against the Broncos on Monday night, completing 14 of 31 (45.2%) of his passes for 202 yards and 1 touchdown. He added 33 yards on the ground on 4 rushes. Smith looks to bounce back against an easier defense in Week 9. The Chiefs travel to Dallas to take on the Cowboys. The Cowboys are currently the 19th ranked defense in points allowed to the quarterback, so Smith should have a much easier time throwing the ball. With Zeke most likely starting his suspension, the Cowboys will have to probably start throwing more often, which can only lead to bigger numbers for Smith. Another QB who had a disappointing performance in Week 8, Derek Carr looks to rebound against a porous Miami defense in Week 9. Against the Bills, Carr completed 31 of 49 attempts for 313 yards, 1 touchdown, and 2 interceptions. The Bills have been a very good defense this year, so this was somewhat expected, although a 34-14 beat down was more of a surprise. Meanwhile the Dolphins, who are ranked 16th in points allowed to QBs, allowed 3 touchdowns to Joe Flacco and Ryan Mallett in Week 8. Derek Carr should have a nice rebound game in Miami. We will finish this list with another disappointing QB in Week 8. Dak Prescott completed 14 of 22 attempts for 143 yards and 0 touchdowns. He added 16 yards on the ground on 3 attempts. Bad weather led to more running plays and field goals in this one. Next week Dallas takes on the Kansas City Chiefs at home. The Chiefs currently rank 24th overall in points allowed to QBs, so Prescott should have a lot of passing room. It also helps that Kanas City is no stranger to scoring, so this game could easily become a shootout.